The instant cult classic about biking, road racing, and the bicyclists who love their sport. 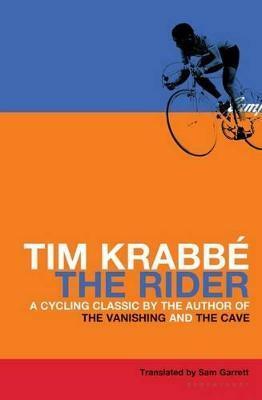 Originally published in Holland in 1978, The Rider went on to sell more than 100,000 copies. Brilliantly conceived and written at a break-neck pace, it is a loving, imaginative, and, above all, passionate tribute to the art of bicycle road racing. Tim Krabbé begins this story at the very start of the Tour de Mont Aigoual, ready to race his rivals through the mountains of Central France. Over the course of the 150 pages that follows, Krabbé takes his bike 150 kilometers, and pulls his readers into the life of the sport he loves. The Rider is beloved as a bicycle odyssey, a literary masterpiece, and the ultimate book for bike lovers as well as the arm-chair sports enthusiast. Tim Krabbé is one of Holland's leading writers, and his novels are published all over the world. His many books include The Vanishing, which was made into a successful film, and The Cave. He lives in Amsterdam.